Simple and modern collide to create a beautiful ring that any traditional groom will love. 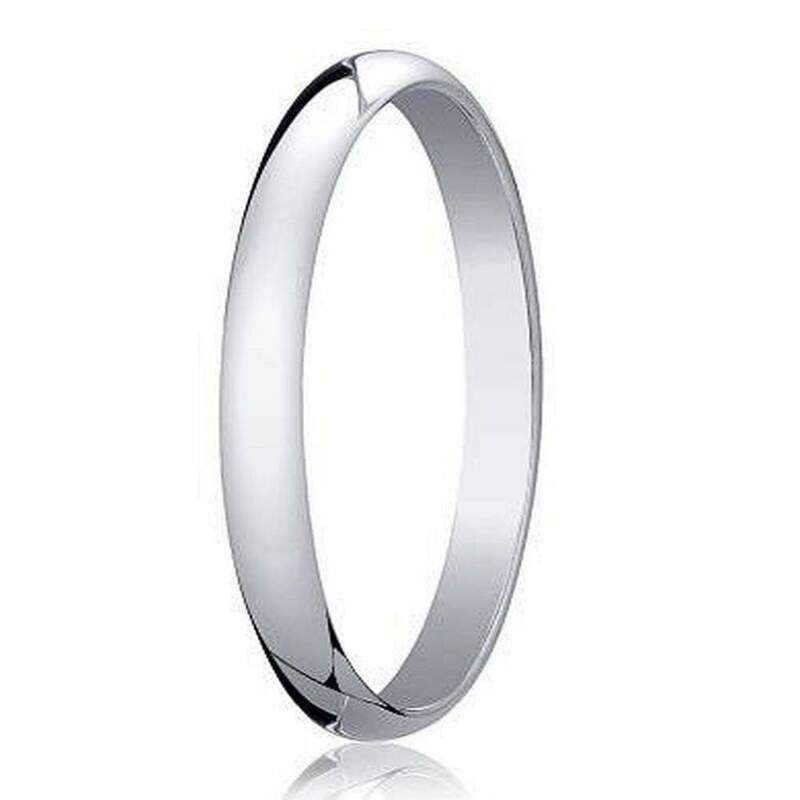 Our men’s designer 2mm traditional domed polished finish 14K white gold wedding band provides the best of both worlds. With the classic smoothness, and durability of gold, the white color adds a touch of contemporary style, ensuring that this ring will stand out. White gold is a great option for those who are looking for a budget-conscious alternative to platinum. Our designer 2mm traditional domed polished finish 14K white gold wedding band may look like an expensive piece, but don’t worry, we’ll keep your secret. Keep your wedding budget intact and get a sophisticated ring that will last for years to come, as you start this new chapter of your lives together. Our men’s designer 2mm traditional domed polished finish 14K white gold wedding band is the perfect option for the groom who prefers to keep things simple. The slim band makes is easy and comfortable to wear, without drawing too much attention. Its slim form also keeps it from getting in the way if your groom works with his hands a lot. Save money and look great with this stunning option.